‘If you want to leave your footprints on the sands of time, do not drag your feet’. It is one of the inspiring quotes by Dr. APJ Abdul Kalam, late President of India. True to his words, he left an everlasting impression in our lives and the history of India. After his demise in July 2015, several memorials, awards, monuments and educational institutions have been named or renamed in his honor. The latest initiative to commemorate the life and work of the legend is an upcoming memorial museum for Dr. Abdul Kalam in New Delhi. The Abdul Kalam Memorial Museum is coming up at Dilli Haat, a hub of Indian handicraft culture in New Delhi. Slated for opening on July 27, the death anniversary of Dr. Kalam, the museum will showcase glimpses from his austere lifestyle and his significant contributions to science before he became the First Citizen of India in 2002. The museum will be open and free to all. Evidently, the Abdul Kalam Memorial Museum will be among the best places to visit in Delhi. Though popular tourist attractions in Delhi include several museums like Toilet Museum and Dolls Museum, the memorial museum in honor of Scientist and President Dr. APJ Abdul Kalam will be an altogether different place. 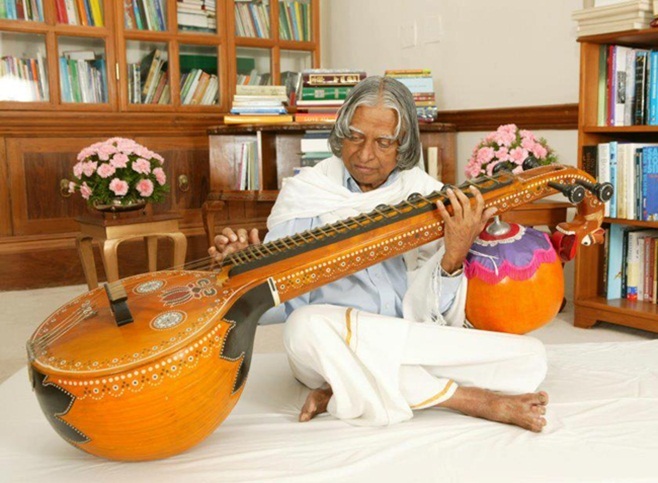 Expected to be a thriving knowledge center, it will house some of Kalam’s personal belongings and possessions including his notes, clothes, spectacles and utensils from Rameshwaram in Tamil Nadu, his birthplace. An audio-visual presentation on the life, career and achievements of Dr. Kalam is another attraction of the upcoming Abdul Kalam Memorial Museum at Dilli Haat. Dilli Haat, a most frequented cultural hub, is quite popular with tourists in the national capital. A memorial museum based on the life of such a legend will be an enlightening attraction to the tourists on visit to Dilli Haat, according to Kapil Mishra, Delhi Tourism Minister. Besides Delhi Tourism, the government of Tamil Nadu has instituted an award in his honor and is building a memorial in Rameshwaram. While Kerala set up a university after him, Uttar Pradesh honored the great leader by renaming Uttar Pradesh Technical University to Dr. A.P.J. Abdul Kalam Technical University. Odisha changed Wheeler Island’s name to Abdul Kalam Island in his memory. Even Switzerland declared May 26 as ‘Science Day’ in 2005 to commemorate Abdul Kalam’s visit to the country. The Delhi government has roped in the ‘best people’ to design the Abdul Kalam Memorial Museum at Dilli Haat. The Delhi Tourism authority stated that the museum for Dr. Kalam is not meant to be another tourist attraction on the map of Delhi, but it would positively impact inbound tourism in the city. It is primarily a tribute to the Missile Man of India. Is the Dr Kalam museum open?